Let me conclude my brief commentary of Christopher I. Beckwith’s intriguing (and controversial, see also here) Greek Buddha: Pyrrho’s Encounter with Early Buddhism in Central Asia, following up on yesterday’s post on the alleged relationship between Buddhism and Pyrrhonism (and, indirectly, other Hellenistic philosophies, including Stoicism). Beckwith begins by drawing a similarity between the ancient problem of the criterion and the modern problem of induction in philosophy, most famously associated with Hume. The problem of the criterion, as I mentioned in the previous post, consists in how exactly do we answer questions like “What do we know? How are we to decide in any particular case whether we have knowledge?” And Beckwith’s central thesis is that the problem was introduced to the Western world by Pyrrho, who in turn got it from the early Buddhists. Given that Hume expressly considered himself a “Pyrrhonian,” one can easily see the connection. Hume’s problem of induction is a serious one in modern epistemology, and there is a consensus that not only it hasn’t been solved, but it is, in fact, unsolvable, just like Beckwith insists. The problem can be stated as follows: on what can we ground our claims to empirical knowledge? (Remember that Hume was one of the British empiricists, as opposed to rationalists like Kant.) If we say that we derive knowledge from previous knowledge plus new observations — which is the way science works — then we are saying that induction is based on previous inductions (plus fallible observations). But this is circular, since we are trying to justify induction by way of inductive reasoning. One could then try to ground induction in the other major mode of reasoning, deduction, where one starts from first principles, known as axioms or assumptions, and derive knowledge from there. This, however, won’t do, since when it comes to empirical matters (as opposed to abstract mathematics or logic) our assumptions are themselves empirical in nature, which means that they are justified inductively — and we are back to the charge of circularity. What then? Beckwith stands with Hume on this: the only possible conclusion is that there cannot be such thing as perfect human knowledge, and that all we will ever achieve is different degrees of reliability of our notions about the world. This is true, as far as it goes, but it seems to me to be a far more modest claim than Pyrrhonian skepticism: Pyrrho counseled to abstain from judgment altogether, while Hume does not. The Scottish philosopher was too pragmatic for that, and even though he had shown that human knowledge is inherently fuzzy and provisional, he then immediately added that that’s the best we got anyway, and we need to go on with our everyday business, as well as with the business of science. Accordingly, I teach my students that the problem of induction is best understood as a reminder to exercise the virtue of epistemic humility: never claim that we know something for certain, because there is no such thing as certain human knowledge. I’m not sure that quite follows, but before closing I want to go back to the Stoics, who had ongoing disputes with the Skeptics, especially of the Academic (post-Plato) variety. It seems to me pretty clear that the ancient Stoics were wrong on this, while Plato got closer to the mark. But what we can do as modern Stoics is to mediate a compromise very much along the lines of the one that Hume himself worked out in his own essays on Skepticism and Stoicism (again, see here). We can agree with the Skeptic that human reason is indeed fallible, but also accept the Stoic account of a distinction between impressions and assent, as well as the Stoic idea that human judgment is perfectible, in the sense that it can be improved upon with proper training. This, seems to me, leads to a reasoned rejection of extreme Pyrrhonism. And indeed, even the late Stoics sought a more sensible position: “Is it possible to escape error altogether? No, it is impossible: but it is possible to set one’s mind continuously on avoiding error.” (Epictetus, Discourses IV.12). How Buddhism deals with this sort of issue is a different matter for another post (or, better, a more qualified author — though it is interesting that the relevant Internet Encyclopedia of Philosophy entry states that “the Buddha’s epistemology can be interpreted as a middle way between the extremes of dogmatism and skepticism.”). This entry was posted in Ancient Stoicism, Other philosophies on August 20, 2016 by Massimo. Yes, re. the Buddha’s role in all this my comments on part one stand here as well. One problem with Pyrrhonian skepticism is that the Buddha wasn’t an epistemological foundationalist in any good sense of the term. He wasn’t looking for rational foundations of knowledge, although he clearly did believe that knowledge (seeing things as they really are) was possible. This eliminates Pyrrhonian sketpticism as a live possibility for him, and indeed the Buddha inveighs against such skepticism in a famous passage of the Brahmajāla Sutta, where he terms it “eel-wriggling” since it cannot be pinned down to any positive claim. While the Buddha discounts certain methods for coming up with knowledge as inadequate, he does not give anything like a worked out methodology for arriving at knowledge. Instead he provides suggestions along the lines of the Path: if you behave ethically, study, do meditative inquiry along the lines suggested, you will end up seeing things as they are in the relevant sense of the phrase. The IEP citation in the link at the end is to an article by Abraham Vélez de Cea, who is a very good scholar of the early material, and I think quite philosophically sophisticated. Massimo, I was looking forward to reading your review of Beckwith’s Greek Buddha, having recommended it here a while back (not that I take any credit: it was already on your list). You didn’t disappoint. On the history: I just read Johannes Bronkhorst’s scathing critique of the book linked above. While he provides some strong arguments against several of Beckwith’s conclusions, I was less impressed by his critique of Beckwith’s overall approach…that is, his practice of basing his arguments on “hard data — inscriptions, datable manuscripts, other dated texts, and archaeological reports.” Bronkhorst’s analogy of Beckwith to “the drunk who lost his car keys and decided to only look for them under the streetlight” is amusing (if uncharitable), and (as I already alluded) he effectively casts doubt on Beckwith’s stewardship of that approach. But, at the same time, Bronkhorst does little here to ward off skepticism of his own approach and that of his Indologist peers, insofar as they purport to have found keys in the darkness of “non-dated materials”…bearing in mind that literacy came relatively late to the subcontinent…significantly later than Gotama (a.k.a. 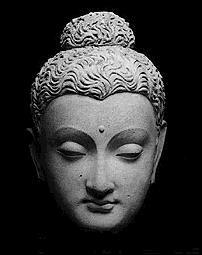 the Buddha) is purported to have lived. On the philosophy: I too appreciate the “modest” and “pragmatic” approach of Hume, but I guess I read Beckwith’s account of Pyrrho as an important inspiration for Hume — say, as an ancient role model of “epistemic humility.” So if Beckwith intended a stronger connection than that, then it was happily lost on me. Thanks Jason, right, I had forgotten that Popper had articulated the trilemma! Can you really say “Pyrrho counseled to abstain from judgment altogether”? Isn’t that counsel itself a judgment? Assuming Sextus Empiricus presents Pyrrho’s position correctly, shouldn’t it be that Pyrrho counseled against judgment about “non-evident” matters only? Well, that is the sort of self-referential objection that is raised against most skeptic doctrines. I don’t think it sticks very well, however. One could easily argue that the decision not to arrive at any judgment is a meta-judgment of sort, made logically palatable by a given set of arguments. The real question is whether one finds those arguments convincing or not.